Yesterday, the Dow Jones continued to ride higher on its bullish momentum, posting another record at 14,354 before closing 33 points up for the day at 14,329. The very optimistic US investor sentiment looks to be continuing and, with day after day of gains, there seems to be little that can stop this momentum. Some medium-term targets are suggesting that we could see 14,700, which is seen as the next major resistance level. In contrast, the bears will be looking towards the major medium-term support at 13,650. For the FTSE, this means a good start to the final day of the week, with the index rising by some 40 points to 6480 at the time of writing. Our spread betting account holders are still sceptical that the strength will last, remaining largely short of the London market. In the near-term, support and resistance is seen at 6375, 6295, 6230 and 6500, 6540 respectively, showing that resistance is nearer than the support levels. As a result, it's little wonder that clients believe there are more hurdles ahead for the index. Also see today's feature on Non-Farm Payrolls. The focus will be on European central banks today with the Bank of England and the European Central Bank due to make their policy decisions. It's the central banks around the world that have been driving the global equity markets higher and so we can expect to see more gains if further easing comes our way. For the BoE, there's a real chance that we will see another £25 billion, following some very dovish minutes from the last meeting where Governor Mervyn King voted for more money printing. It will be interesting to see whether he gets his way today but there are clear concerns within the MPC that inflation remains stubbornly high. As a result, there's every chance that we will see no action at all and this is certainly the outcome that the market is expecting. Having said that, it's going to be a close call as the Bank has seen a dramatic shift in focus away from inflation and onto growth. Since their view is that growth has been assisted by the Bank's quantitative easing programme, it seems likely that they will add more either today or before Sir Mervyn steps down this summer. Over to Europe and the pressure has been continuing to mount on the ECB for a rate cut. Whilst 'Super' Mario has been hinting about such a move, he's been reluctant to bring the benchmark rate down from 0.75% so that he's still some ammo in store if conditions worsen. Spread trading investors will also be interested in the ECB's thoughts on growth and inflation forecasts, both of which are expected to be reduced. The ADP employment report in the US was better-than-expected, indicating better days ahead for the overall economy. In addition, in its Beige Book, the Federal Reserve acknowledged moderate economic growth mainly due to rising demand in the housing and auto sectors. Consequently, the Dow Jones edged higher by 21 points to close at 14,283. Interestingly, European markets have opened stronger than we had anticipated ahead of today's session. We had been calling for a little bit of profit taking, with the FTSE expected to fall by a handful of points. However, it looks like the confidence that is driving US indices is also rubbing off on the London market, as it currently sits 15 points higher. Also see today's feature Dow Jones Index Hits Highest Ever Level. Yesterday's US strength has aided European indices on the open this morning, with the FTSE 100 rising by 30 points to 6385, not far from knocking on the door of 6400 again. For the bulls, the near-term resistance targets are seen around 6410 and 6435, while support is seen at 6330, 6300 and 6235. Also see today's feature Markets Remain Supported by the Central Banks. Some sequester concerns have crept into equities at the start of the week but, considering that they have managed to stay afloat so far, the downside pressure doesn't seem to be a major worry just yet. On Friday, worries about the impact of $85 billion of US spending cuts were met with ongoing better-than-expected economic data, so the Dow was torn between the bulls and bears. Strong consumer confidence and ISM Manufacturing PMI helped to reverse the downside trend for US stocks. As a result, the Dow Jones finished 35 points higher at 14,089, even in the face of a slowdown for Chinese manufacturing. Nevertheless, at the time of writing, the Dow futures are indicating a 50 point fall on the open, but of course that could easily change ahead of this afternoon. All this means that European indices are a bit off colour this morning, with the FTSE trading 30 points lower at 6350. For exactly a month now, the FTSE has traded sideways between 6200 and 6400 in a period of consolidation following January's impressive start to the year. This consolidation is reminiscent of last autumn when the index traded between 5600 and 5900 before breaking to the upside in December and heading even higher. The bulls believe that the markets have taken the current headwinds in their stride and, just as we saw last autumn, there could be continued consolidation before the next leg up. Things are quiet on the economic data front this morning, with just UK construction PMI due for release, but things get busier as the week goes on and we will end with US Non-Farm Payrolls. If we can learn anything from the Eastleigh by-election it's that, rather like the Italian general election, voters are disenchanted with the mainstream political parties. Given that the Lib Dems held onto the seat, it seems unlikely that UKIP's second place is simply a protest about the coalition's austerity measures. However, it is certainly a clear indication that UK voters are becoming more disenchanted with Europe. Our Dave's recent speech doesn't seem to have gone far enough to placate the public's sceptical feeling towards the EU. It will certainly be interesting to see whether that protest vote is repeated at the next general election. Of course, this by-election has had little effect on the online spread betting markets and so we are seeing the FTSE 100 a little lower this morning at 6355. It seems that many investors are still sitting on the sidelines, waiting for a larger pull back before they jump in. In fact, European markets might well have been lower if US indices weren't continuing to press their highs. Despite posting a small decline of 20 points yesterday, the Dow Jones managed to hold onto the 14,000 level and close at 14,054. This little bit of profit taking can be put down to the uncertainty surrounding the sequester that is due to kick in today. Despite the US Senate voting to keep the current spending cuts in place, investors don't seem to be too concerned at the moment. The recent economic data from the US has continued to remain positive, with jobless claims dropping to 344,000 against estimates of 360,000. There are still quite a few bearish clients out there who don't believe in the current strength of equities. They will be hoping that the resistance levels at 6390/6400 will hold as a break above here might pave the way for 6500. To the downside, support is seen at 6300 and 6250. Central banks have come to the rescue as Federal Reserve Chairman Ben Bernanke made his commitment clear to keep the money presses going until unemployment in the US has declined. American shares soared last night and that's put a spring in the step of European investors this morning. It seems that not even news about the Italian elections can dent the resolve of the central bankers, who remain ready to act in order to support their economies and currencies. 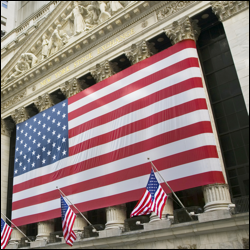 Yesterday was also another good day for US economic data which helped the bulls press higher. We saw better-than-expected US housing data, with pending home sales rising 4.5% versus expectations for a 1.7% increase. This boosted the ongoing optimism that the world's largest economy is on the mend and came on top of core durable goods orders which also surprised to the upside. All in all, the positive sentiment allowed the Dow Jones to smash back above the 14,000 level, adding another 175 points to close at 14,075, and even touching 14,100 at one point. Despite our earlier calls for the FTSE to open even higher, the index is still putting in an impressive start to the day by gaining 30 points to 6355. The recovery from the Italian election sell off has caught several of our clients off guard, with quite a few expecting further declines. For some investors, it's almost becoming a case of 'if you can't beat them, join them'. Many of the bears who have been waiting on the sidelines for a larger sell off might just throw in the towel and jump on board. On the economic data front, it's going to be another US focused day as we await the weekly jobless numbers, GDP and the Chicago PMI. The US figures have regularly impressed to the upside of late and this is another reason for investors to remain bullish. As if savers hadn't been battered enough by the record low interest rates of the past few years, the Deputy Governor of the Bank of England has floated the idea of setting negative interest rates. This would be even more catastrophic for those savers and pensioners who are already being squeezed by inflation that's been above target for years. Real earnings are being squeezed month after month by the BoE's monetary policy. Despite this, it has been clearly communicated that the easing will continue, adding to the upward pressure on prices. Then there's the recent decline in sterling to take into account, which is only going to import more inflation. This means that, unfortunately for those people with pensions and cash savings, the future it set to get tougher if the BoE adds more QE or explores other unconventional measures. At least the prospects for investors are looking a little brighter. The equity markets seem to be finding some sort of support following yesterday's rout and there's quite a bit of green on the screens this morning. US stocks, which suffered their big blow on Monday night, recovered a little yesterday and for now the knife doesn't look to be falling any further. The fear and concern over the inconclusive Italian election looks like it might be over quicker than many had thought. On top of this, US indices are taking the imminent sequester very much in their stride. Even those stocks that might be worst hit by the sudden drop in government spending don't seem to be suffering from any selling pressure at all. American investors seemed to brush aside the chaos unfolding in Europe and looked at their own data, which they were rather pleased with. Yesterday's US new home sales surpassed estimates, painting a much improved picture of the housing sector, whilst consumer confidence was also much higher than initially predicted. These positive figures sparked a rebound in the Dow Jones and the stock market index ended 115 points higher at 13,900. Meanwhile, Fed Chairman Ben Bernanke reiterated his support for loose monetary policy at a hearing in front of the Banking Committee in Washington. Accordingly, the FTSE 100 is on positive footing this morning, trading more than 25 points higher and pushing the 6300 mark again. For now, support is pegged in around yesterday's low at 6240, whilst the bulls will want to see a move back above 6375 to confirm that the bull run is still intact. Today sees the 2nd reading of UK Q4 GDP, which is expected to remain unchanged at -0.3%, and then there's some US data in the form of durable goods and pending home sales. Sorry, no market commentary today but please do read our new feature: Italian Elections Cause Panic Amongst Spread Betting Investors. Friday's better-than-expected reading of German business confidence was the main driver for changing investors' sentiment back to the optimistic side. That allowed the Dow Jones a recovery of 101 points to 14,000, with additional support coming from another set of US corporate results exceeding the initial estimates. Also see today's feature Moody's Downgrades the UK Credit Rating.